Each year, Turpin and his collaborators identify a new body of text to work on. This year, participants took turns translating from “The Life of St. Martin” by Sulpicius Severus, They met synchronously in an online conferencing environment in weekly sessions over the summer. Panelists could see and hear each other, but observers were welcome to follow along on their own. 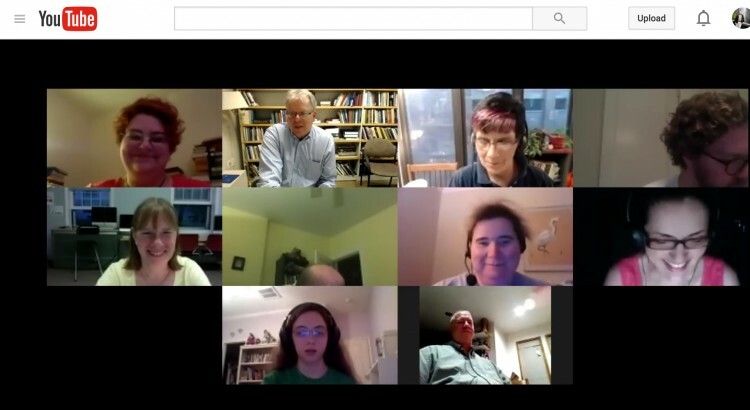 For the first two years, Turpin’s course met in Google Hangouts, but they switched this year to take advantage of Swarthmore College’s new Zoom conferencing service. The sessions are recorded and available for viewing any time thereafter on his YouTube channel.